My specialty is working with mature clients who wish to improve their mobility. Perhaps you have a health issue, or maybe you're ready to start your fitness journey. Many of my clients have health concerns or have had a prolonged lapse in fitness. Together we work to develop your personalized program designed to get you back to being more mobile. My programs offer support, accountability and expert guidance to help you have more success in meeting your goals! Every program we do together begins with an Assessment to measure functional fitness. Testing determines lower and upper body strength, flexibility, agility, aerobic fitness, and balance. This baseline information helps us to set your start point as we plan the goals and milestones for your individualized program. You can learn more about how we can work together by reviewing my services & packages below or get in touch to book a consult to see which one would work best for you. Whether you choose to train alone, with a partner or small group of friends I can design a program for you! Do you prefer tailored options to help you make better progress? Choose from 3 levels of programs to support your short-term or long-term fitness goals. 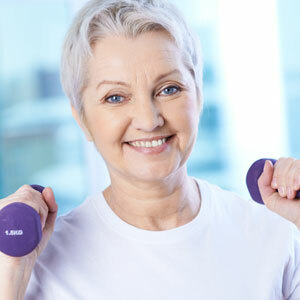 You can exercise in the comfort of your own home, a local gym, pool, or favourite outdoor space. Training programs are tailored for each individual’s unique needs and start at $240 and up. I’m happy to discuss your needs and recommend the best option to help you meet your fitness goals. Looking to make fitness fun & affordable? I also offer small groups for general fitness. We determine an overall group focus to meet everyone's shared goals. These groups are a great way to have fun, socialize with others and get moving! Get fit with a friend or request a small group program for up to 5 people. Sandra Buchanan is an American Council on Exercise (ACE) certified Personal Trainer. She has a degree in Occupational Therapy and has worked for many years in rehabilitation both in hospitals and in the private sector. 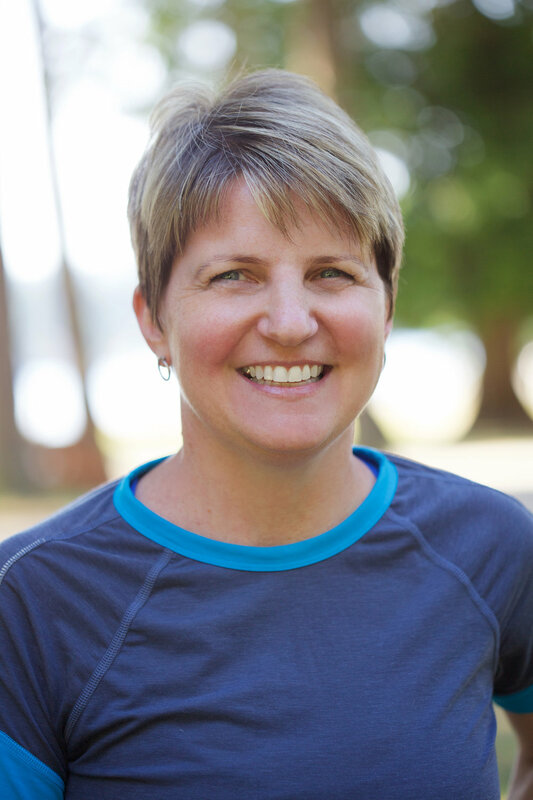 Her speciality certifications include Osteofit, Pilates, Weight Training, Older Adult & Aquatic Fitness. I teach a variety of fitness classes through the Sechelt Aquatic Centre, Pender Harbour Fitness and Aquatic Centre, and private studios. To learn more about the classes I offer visit my facebook page for registration details. Like the page and follow me to learn more about how to stay fit or for details on upcoming classes and clinics. Are you ready to see how I can help you develop more mobility? Let's train together at a location of your choice here on the beautiful Sunshine Coast, BC. Learn more about how you can work with me or get in touch to book a consult.